Affordable 3/2 situated on wooded lot on a dead end street!Don't wait too long before it is gone!Covered front porch w/room for 2 rockers & hang out w/friendly n'bors after a hard day at office or stay inside where it is cool & chill in the big gathering room overlooking backyard.Plenty of room for hot tub for relaxing & patio furniture & definitely private!Breakfast nook has window & overlooks front yard w/lots of nice mature trees for shade.Kitchen is fully equipped & has pass thru to gathering room w/wood burning fireplace.Indoor laundry room w/washer & dryer.Split floor plan arrangement & seller has updated both bathrooms w/newer vanities.Master bedroom has walk-in closet & en suite bath w/garden tub & sep shower.Roof & HVAC-2012; 1yr warr 2-10 $540, sprinklers w/well/pump & sec sys. Kensington consists of seven Districts which are all part of the same community. Each District is distinct and all adhere to the same standards of community living. Kensington Community provides residents with the feeling of comfort and security in a park-like setting. These features, along with the friendly neighborhood setting enjoyed by all residents, make Kensington Community one of the premier and most desirable communities in the area. Kensington offers many amenities to its residents - Playground - For younger residents the playground area has a swing and play equipment, along with tables and benches. There are areas for basketball and volleyball, and a larger field which can be used for baseball, softball, or soccer play. Pool - The pool is a junior Olympic sized, with large shallow areas on each end. Chaise lounges and chairs are available, with a limited number of tables and umbrellas. Gazebo - Having a get-together or birthday party? How about hosting it at the poolside Gazebo? Exclusive use of the Gazebo is available for Kensington residents. Lots of parking and access to the pool (during swim season) make this the superior alternative to doing it at home. Tennis, Basketball, Beach Volleyball & Softball -These are located between the pool and the playground areas, and have timer lights for evening play. 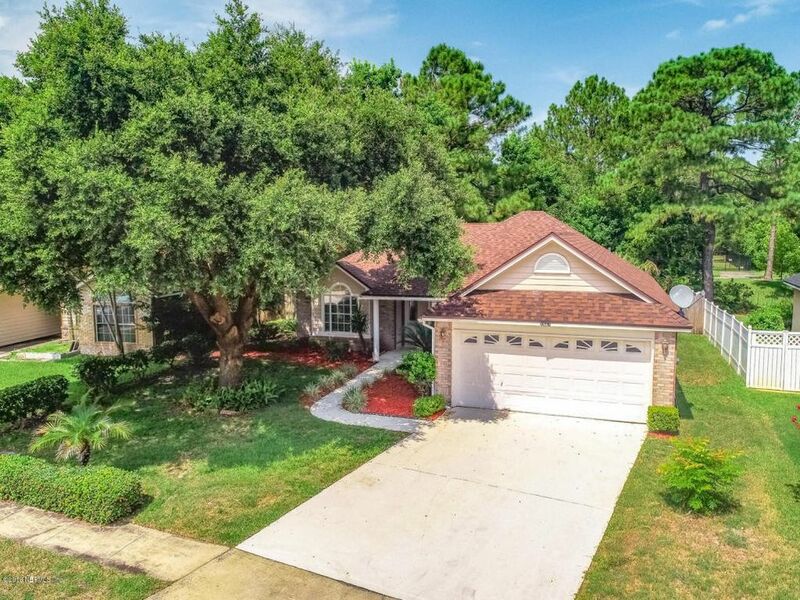 Close by to beaches, main thoroughfares, JIA, TIAA Bank Field, shopping, dining, St Johns Town Center, retail and downtown. There are 3 ways in and out of the neighborhood - 2 from Kernan Blvd (one with a street light) and a light at Atlantic Blvd. So easy access in and out of the community. Directions: From Kernan Blvd, east on Atlantic Blvd, t/r at light on Kensington Gardens Blvd, T/R @ stop sign on Kensington Lakes Dr, t/r on Brighton Bay Trl, t/r on Burgess Hill Dr E, to house on right.